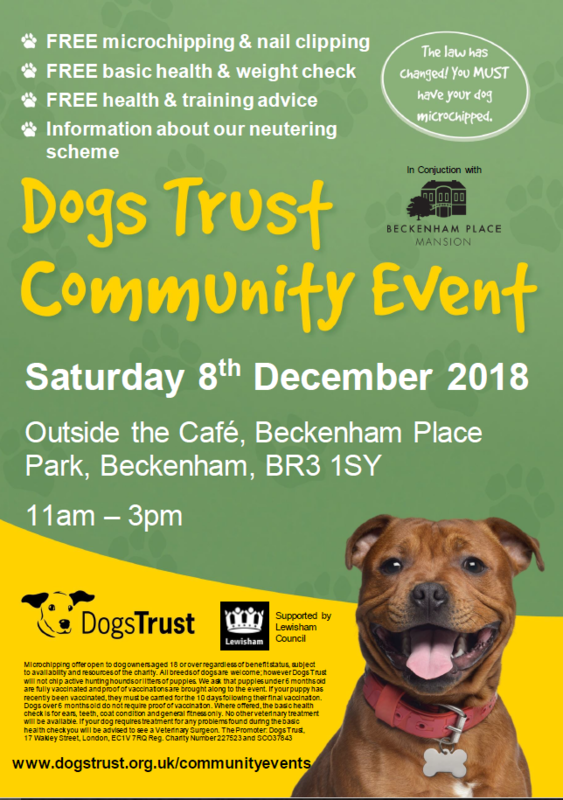 Dogs Trust will be at Beckenham Place Mansion, outside the café on Saturday 8th December! Come along with your dog from 11am-3pm to receive a free microchip, nail clip and health check from our lovely vet nurse. Pick up some free poo bags, training and diet advice and some Dogs Trust themed gifts!